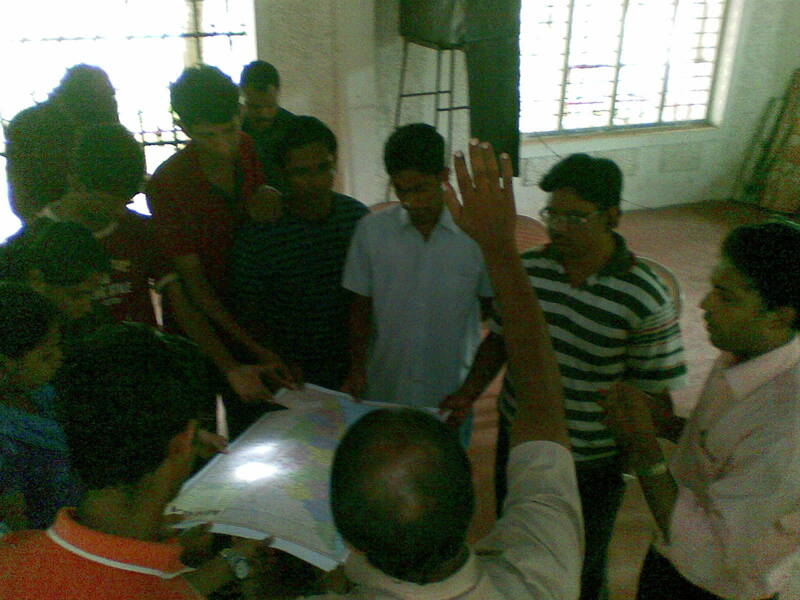 UESI-Kerala conducted a prayer rally from 25-29 May,2010.It was planned according to an initiative by the students who met during the State Conference at Tiruvalla last December. North Team - starting from Manjeshwar(northern tip of Kerala) and travelling toward south. By the grace of God,I got the oppurtunity to be part of the rally.I was with the South Team and I hope to give you a brief description of our journey through this post. Kerala consists of 14 districts.Out of the the 14,the we covered 7 districts lying in the southern part of Kerala - Trivandrum, Kollam, Alappuzha, Pathanamthitta, Kottayam, Idukki, and Ernakulam.The North Team covered rest of the 7 districts - Kasargod, Kannur, Wayanad, Kozhikode, Malappuram, Palakkad and Thrissur .Both of the teams planned to start their journey from both ends of the state on 25th ,visit various colleges and finally meet at UESI-Kerala centre at Ernakulam on 29th. 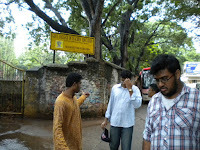 We started our journey on 25th morning at 8:00am from Parassala.At the same time,the North Team had reached Manjeshwar. In the meantime, we had a wonderful experience.Just before reaching Parassala ,at about 7:50am,our minibus broke down in the middle of the road.Our driver tried his best to start the bus.But, all his efforts were in vain.In fact, we were expecting something bad to happen. 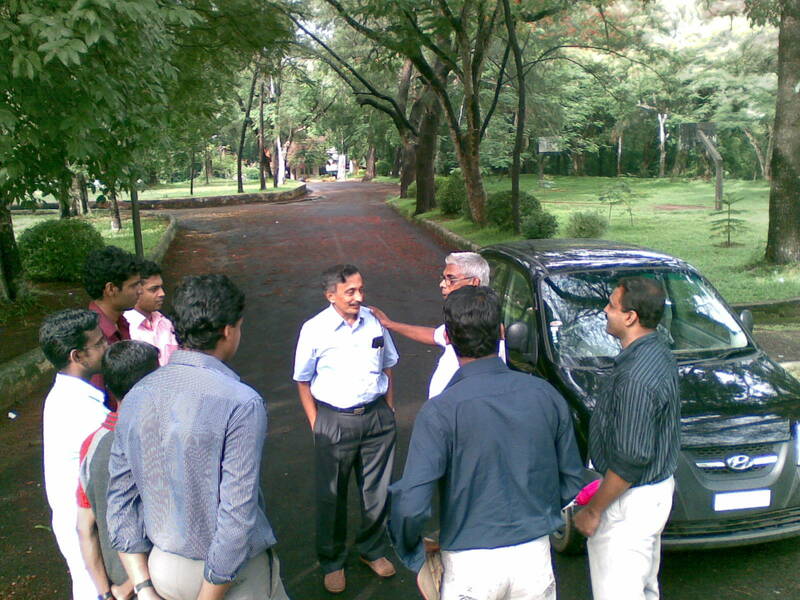 But we didn't think of something like this.Anyway, Viji uncle was there with his car and he took all of us to Kaliyikkavila,Parassala and we immediately started our work. Using call conferencing, parallel calls were made between the two teams and betweeen various people across the state.Then we all prayed for God's blessings throughout the journey and the success of the prayer rally . By the Grace of God,after about 10-20 minutes,our bus got repaired. It was actually a minor loose contact. I then realized that Satan actually exists and is doing his best to destroy us by continuously giving us difficulties and problems. We are always in a battle against Satan. If we had stopped our journey when the bus broke down then Satan wins. But instead we decided to continue the journey. If we obey God we get the power to overcome Satan. 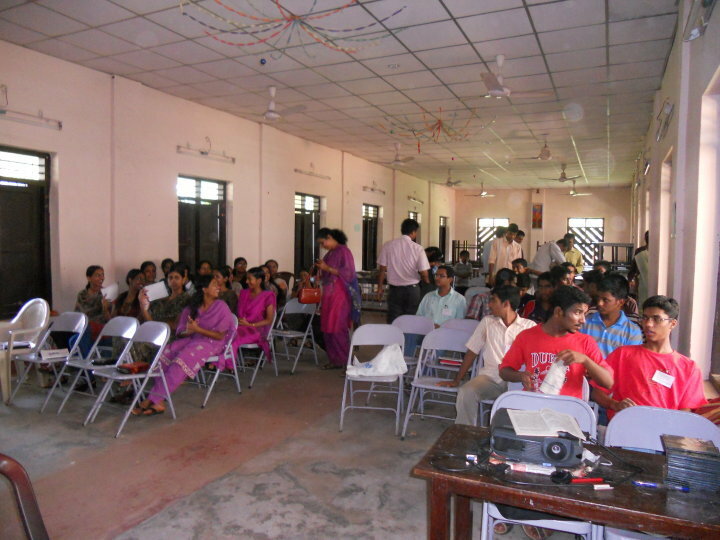 Colleges visited : Pankajakasturi College of Engg, Mar Ivaneous College, Mar Baselious College of Engg, Mahatma Gandhi College, University of Kerala, Sarabhai Institute of Technology, Govt.Arts College etc. We also visited the Trivandrum ICEU and the Trivandrum EGF. 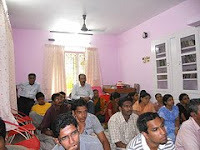 We also visited the Chathanoor ICEU, Kollam EGF and Kottarakkara EGF. 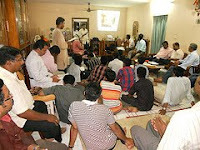 We visited an Evangelistic camp at Mavelikkara. 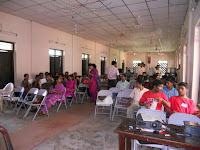 About 36 students were present in the camp.We also visited the Ranny EGF (Theodical), Kozhencherry EGF and Tiruvalla EGF. We also visited the Alappuzha EGF and Chenganassery ICEU. 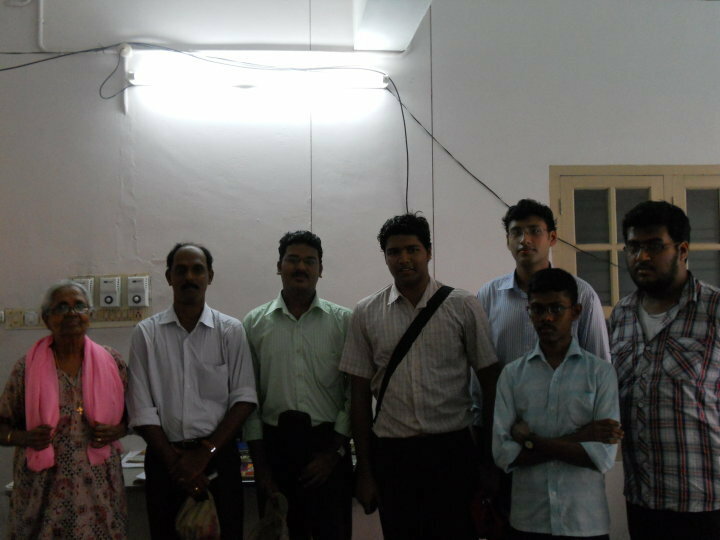 We also visited the Kothamangalam ICEU . 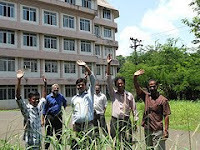 Both the teams met at Muvattupuzha at about 1:00 pm .We had had lunch together and then proceed to John Zachariah (one of the pioneers of UESI ministry in Kerala )sir's house.Then at about 7:00 pm we reached the UESI-Kerala centre at Edappally,Ernakulam. 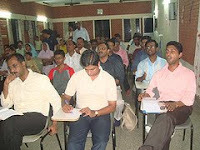 There, we were welcomed by the Ernakulam EU-EGF members. 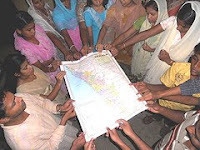 Then both the teams had the time for the sharing of experiences of their journey. We tried to visit the maximum number of colleges in our 5-day journey.Whenever we reached a college,we took time to remember the college,the students and the teachers in our prayers. In some colleges ,we could easily get inside the campus(mostly Govt colleges).There,we walked around the campus and prayed for the institution. I realized 'the new dimension' of prayer.Prayer has great power and we have decided to continue praying for our state,UESI ministry,all post-matric institutions,student community, teachers and ,most importantly, the Grace of God.I once again thank God for giving me the opportunity to be part of the prayer rally.